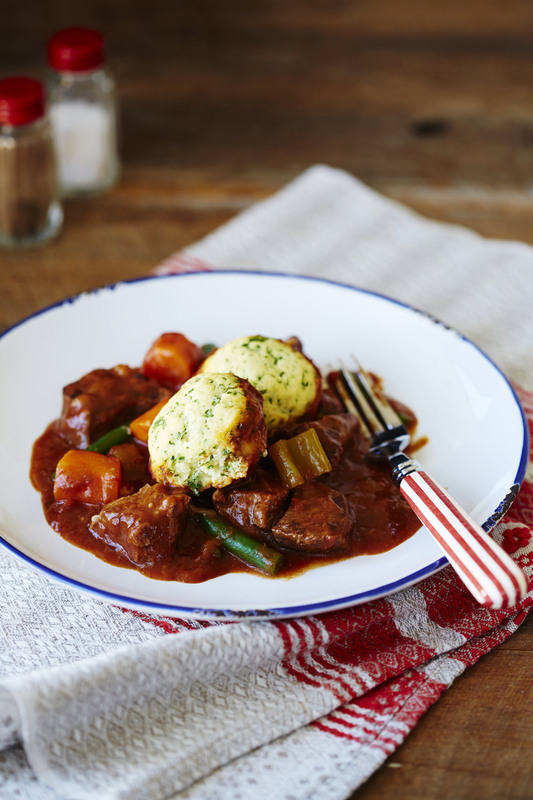 Rich, comforting and incredibly satisfying, this traditional beef casserole is in a class of its own. Serve with our herb dumplings for the ultimate crowd pleaser. Heat auzure Canola Oil in a large flame proof casserole over medium-high heat. Brown beef in 2-3 batches, adding more auzure Canola Oil as necessary). 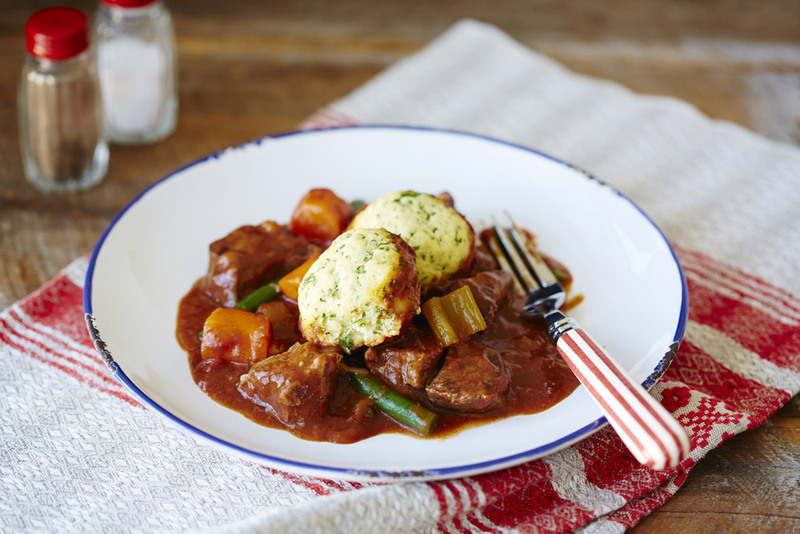 Return all beef and onion mixture to pan and stir in flour, paste, red wine, tomatoes, beef stock and carrots. Place self raising flour and butter in a large bowl. Using fingertips, rub the butter into the flour until mixture resembles breadcrumbs. Stir in the parsley and chives. Make a well in centre of flour mixture and stir in enough milk to make a soft, sticky dough. Add a little more milk if necessary. Add green beans to stew. Increase oven heat to 200°C. Using floured hands, roll dough into 16 dumplings about the size of a walnut. Arrange dumplings about 3cm apart, on top of casserole.